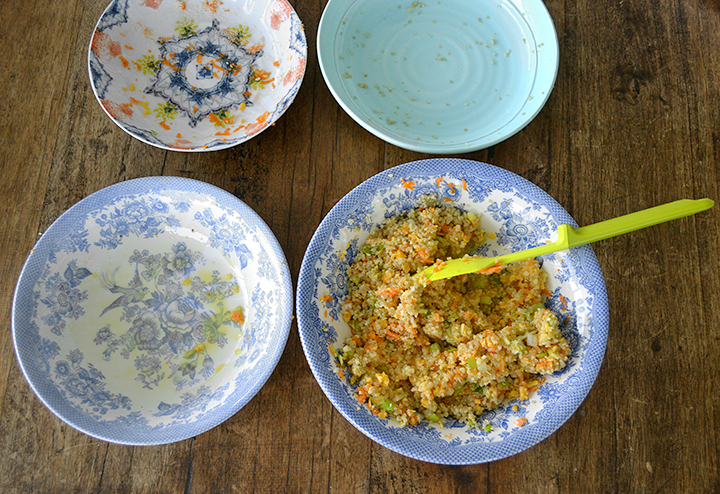 In a saucepan combine one cup of well rinsed quinoa with two cups of water adding salt to taste. Bring to boil then reduce heat to low and cover until liquid is absorbed and quinoa is tender, about 15 to 20 minutes. You might end up with more, but we only need 2 cups cooked quinoa. 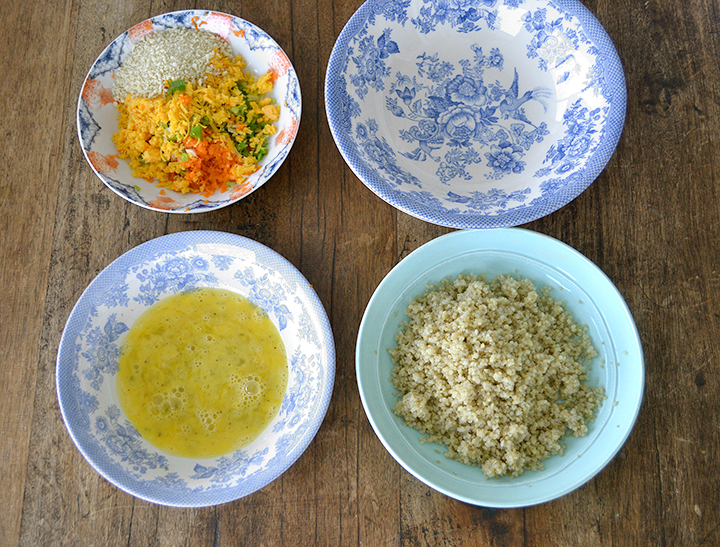 In a bowl combine two cups quinoa with cheese, spring onions, carrots, panko, and egg. Season with salt and pepper. 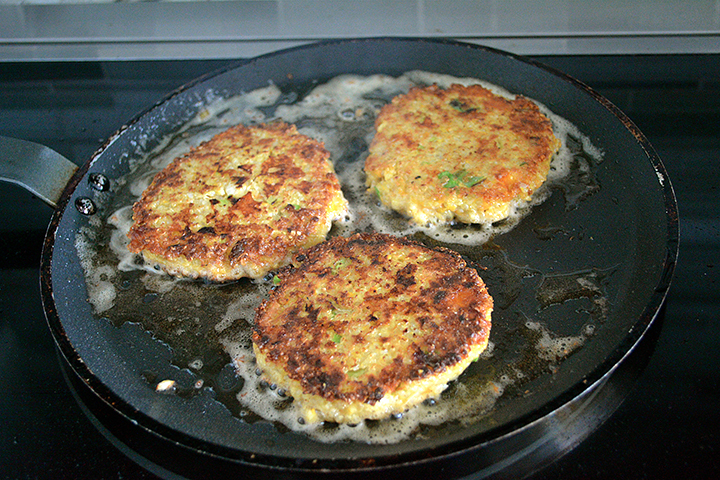 Make patties and place them on a tray over parchment paper, refrigerate for 15 minutes until firm. In a nonstick skillet heat with one to two tablespoons of olive oil. 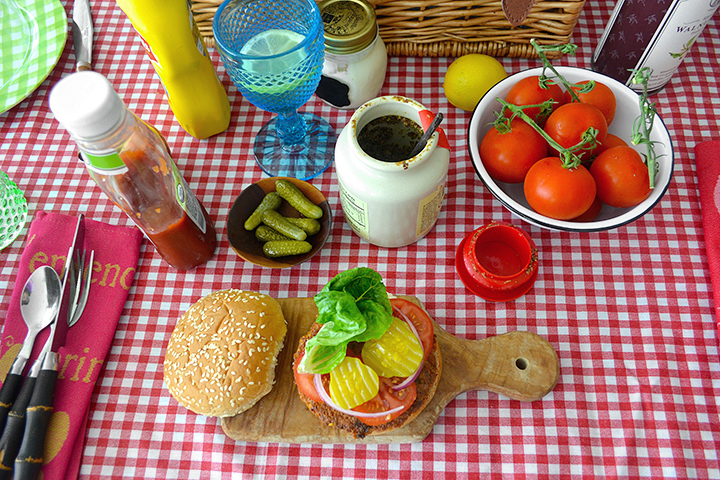 Cook the burgers at medium heat until golden brown on both sides. If you prefer not to fry, you can cook in the oven for about 15 minutes each side until golden brown both sides. Once you try it you are going to love it! 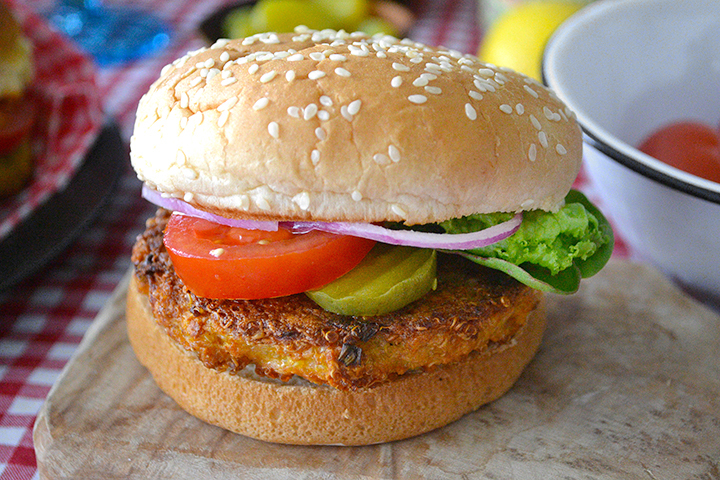 A veggie burger perfect for the vegetarian, kosher, glutten-free, and meat eater. There are endless ways to serve them: with barbecue sauce, avocados, onion chutney, teriyaki sauce, tomatoes, lettuce, mustard, mayo, or ketchup. Make your own creation. Try with different breads, like on a pita with tahini hummus or tzatziki. 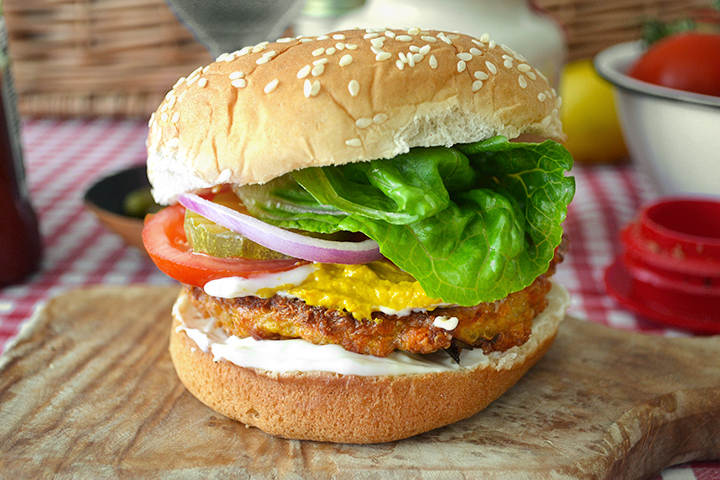 A mediterranean twist for the quinoa burger. With the same recipe, just add 4 ounces of garbanzo beans. I used organic garbanzo beans in a carton instead of from a can. Rinse and drain then put in the food processor to roughly chop. From here, incorporate into the original quinoa recipe. 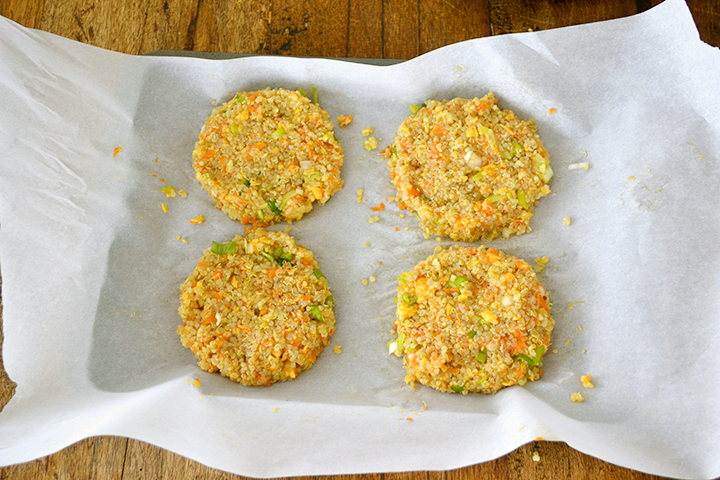 Shape the patties smaller, making about 20 mini quinoa falafel. You can cook them or bake them. 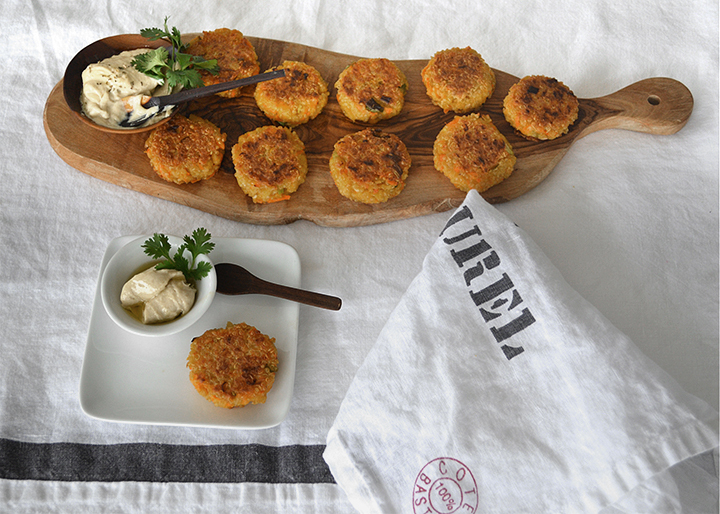 Serve with tahini and tzatziki on pita bread or on their own! Lola, que rica la receta. Con esta presentación la imaginación vuela y te lleva a disfrutar de la comida en un día precioso en el campo!!! Wow this quinoa burger looks amazing!!! 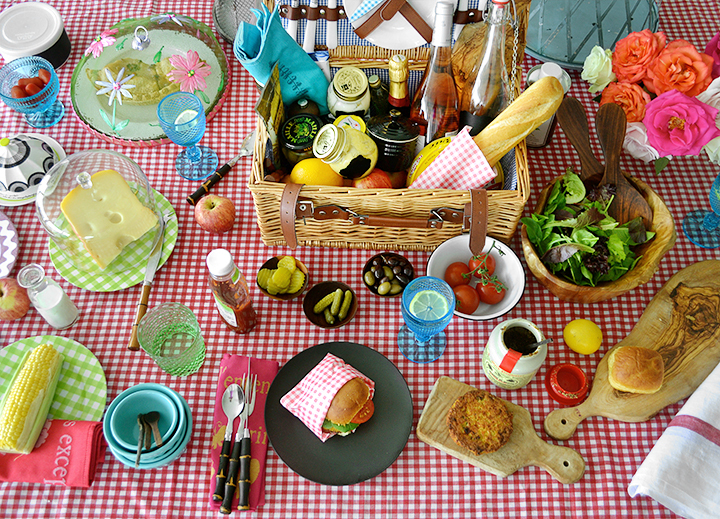 Love the healthy ingredients and your picnic is everyone’s dream! A great idea! 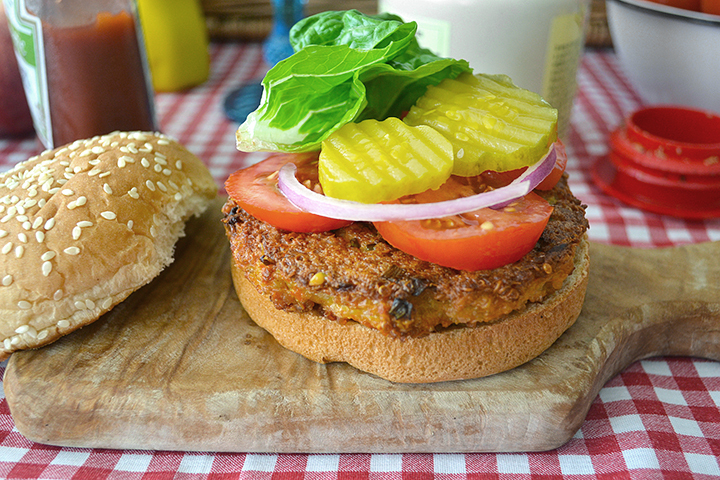 This quinoa burger looks wonderful and ever so appetizing. Never try it before, but after reading this post, I have to. Wish you a wonderful long weekend! Copyright © 2019 La Maison du Monde, LLC. All Rights Reserved.